With diagnostic tests for Lyme disease often inconclusive, patients may suffer a long list of symptoms, including psychological ones as well as physical ones. Fearful of both the diagnosis and the fear of never recovering, many are left searching for alternative methods of treatment, with mixed results. New diagnostic tests for Lyme–and new understandings of the pathology of the disease–may change all that. The struggle to cope with a host of ambiguous symptoms can leave Lyme sufferers confused and frustrated. Even after being treated, some continue to suffer symptoms, including psychological ones. Here are the stories of three patients and their journeys to better health, and the science behind their suffering. Studies show that long-term antibiotics might not be effective in treating persistent Lyme symptoms, but what is? Alternative treatment using herbal remedies and natural approaches might give some answers. Pond scum may be causing your chronic Lyme symptoms. 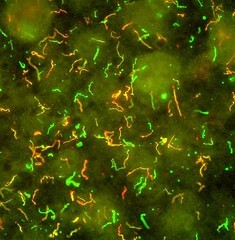 Lyme disease diagnostics are problematic and unreliable, which has led to new research to develop new ways of testing.